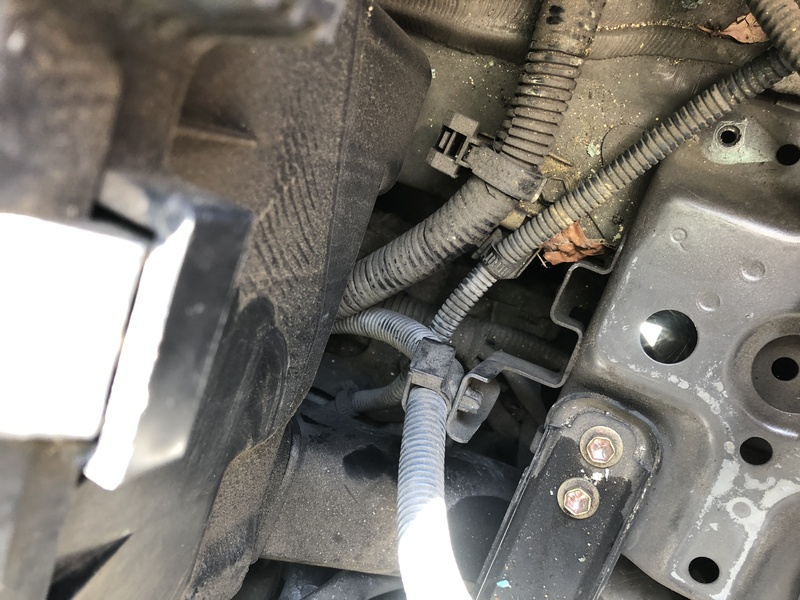 I have a 2003 Toyota Camry XLE V6 automatic and I can't get it started. The last time the engine was running was 4/4/17, it last tried to turn over with in Aug/Sept. 2017. I had very little car repair/mechanical experience before this ordeal and although I've enjoyed learning about the inner workings of my vehicle, I really just want to get it running again. 1. 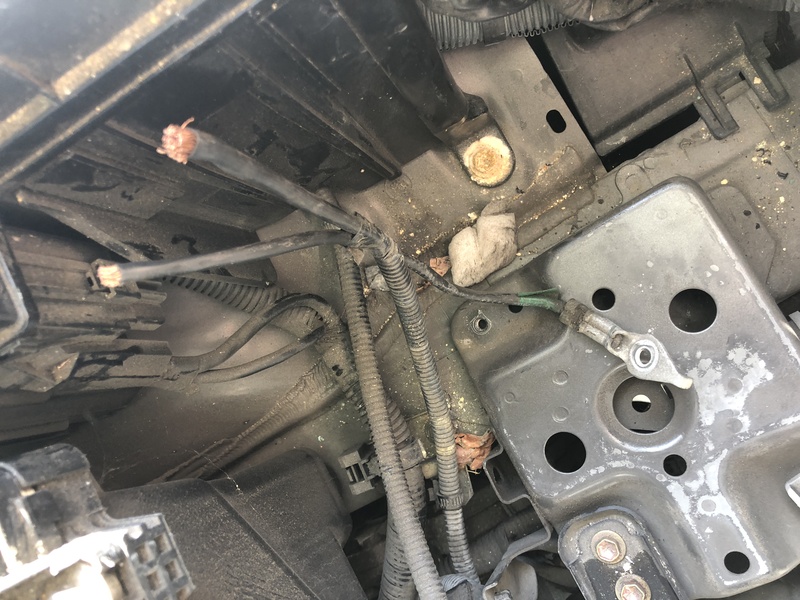 Locksmith said he was having trouble reflashing the IC900 chip, he damaged the CPU circuit board with a screwdriver pen trying to clean off the connections to the chip, he said he'd come back to finish the job, never saw him again, filed claim against his insurance & settled. 2. A buddy of mine recommended his locksmith friend check it out, he plugged a key programming tool into the OBDII, couldn't reprogram a master key. 4. Purchased ECU off eBay ($75) my regular mechanic, referred me to a tech that specializes in Toyota programming. Paid $200 for putting the ECU into learning mode and registering my master key to it and two spares. Installed the reprogrammed ECU, car would not start, attempted to turn over, but would not start. Tech said there may be something else wrong with the ECU. 5. Found a remanufactured to OEM specs ECU online $400, had same tech reprogram $150, he gave me a discount. He also mentioned that he spoke to a Toyota engineer that said my model may have an immobilizer module (89870-AA010). I took apart the mid-console, passenger/driver upper/lower dash trying to locate this module, but had no luck. I did find 89730-AA010. 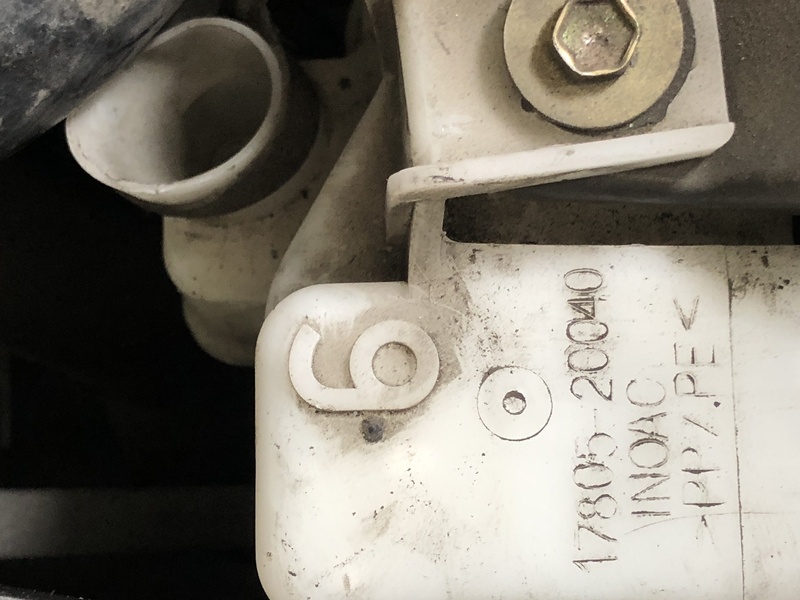 I called Toyota provided my VIN and was told that my model did not have immobilizer module 89780-AA010. I put the 2nd reprogrammed ECU in and nothing, a few clicks and that's it, the engine didn't even make a sound....This was 1/27/18. 2. Is there anyway to scan the car and see what else may be happening? Given all your efforts, you should have a car that will start. engine should still turn over with ign key to start. However with the ign system inoperative it will not start. Suggest remedying the problem as to why the engine will not turnover. If the car has an immobilizer? When the immobilizer is activated there should be a blinking red light on the dash. Is there such a light and is it blinking? 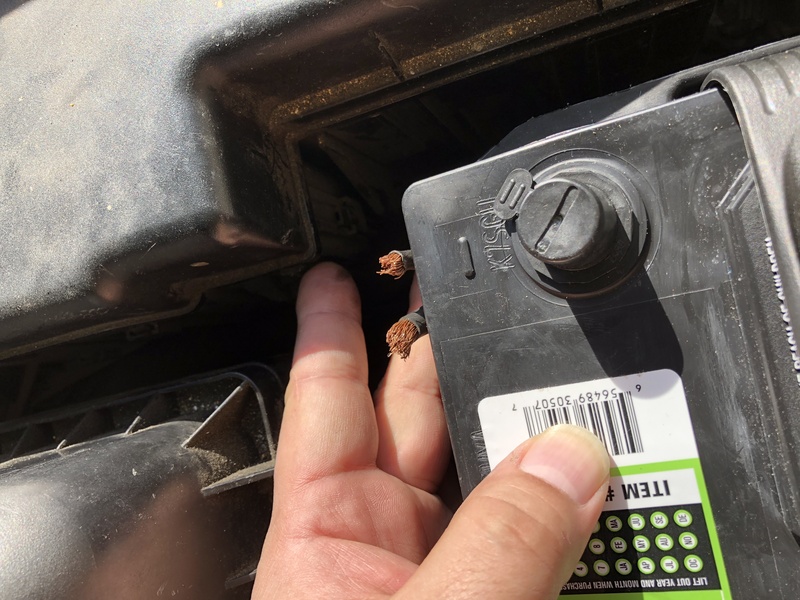 I confirmed a new battery was needed, upon further inspection of the battery terminal connections, I decided to replace them, however I cut the negative terminal off and now with my new replacement connectors the negative cable is too short. I went to interstate battery store and they advised me to replace the cable, or connect the cable somewhere else on the chassis. 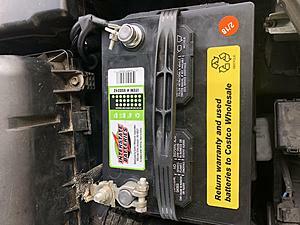 Or find a suitable new negative battery cable (perhaps with two cables) and splice into the chassis wiring. Cut the chassis cable back to not have the splice joint extremely close to the battery. This to allow the now spliced cable to easily bend to attach to the battery. Or cut the two chassis cable back and install one copper eyelet terminal on both of them. See link below. Then bolt this eyelet terminal to the one on the new battery cable terminal. If having a propane torch solder after crimping or can just solder. After splicing/connecting to the new battery cable. Cover the splice with electrical tape. Hardware stores sell split plastic wire protector that goes around the wire to hide new cable and splice. Clean any bare copper wiring to shining new prior to connection or soldering. If soldering use only rosin core solder. Tin the cable ends before doing the final solder connection to the other cables or connector. 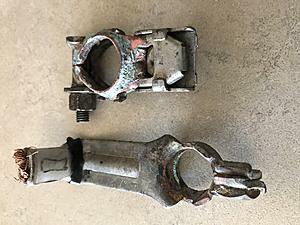 The split bolt connector is the easiest to use. Decent hardware stores should stock them. Get the size the fits the diameter of the copper wires. I bought a battery harness splice kit and replaced the corroded terminals, parts cost less than $25, available at your local auto parts store,. East Penn manufacturing has a great how to video on YouTube. I installed the new battery, interstate (group 35, Fit 3)(Costco) $82 out the door with old battery swap. Checked the connection and had solid power. Got inside the Camry, no key in ignition, the light was solid. I put the master key in the ignition and the security light started blinking. I turned the key to on position, light still blinking. 1st attempt to turn engine over and Abracadabra Alakazam, the engine turned over and started! 1st time just shy of 11 months. I should have done this after I purchased the 1st ECM off eBay and programmed it. Possibly could have saved myself $550.00, but that's neither here nor there, the Camry is up and running g and I'm a happy Camry owner On the Road Again! Congrats on your success, great job! If so, its supposed to connect to the engine intake pipe. The purpose is to lower any intake air resonance noise. Does the air filter have an intake pipe that runs to the front of the chassis? These lights are for traction control. When light ON, the traction control is off. Can still drive the car, just no traction control. 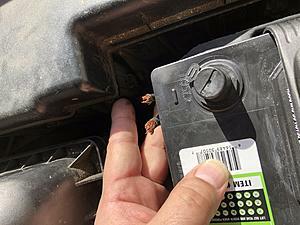 The lights can also come with the check engine light to reduce strain on engine. A few quick things to check are tire pressure (set to proper pressure/equalize settings between tire and brake fluid level. Check wheel speed sensors for debris on end of sensor. The car did sit for a time, who knows if critters, etc. got into it.